2016 IS PROVING TO BE OUR BEST YEAR EVER! In the past four months we have closed 25 deals. We hope that all of our friends in the marine industry are also enjoying the same uptick in activity. 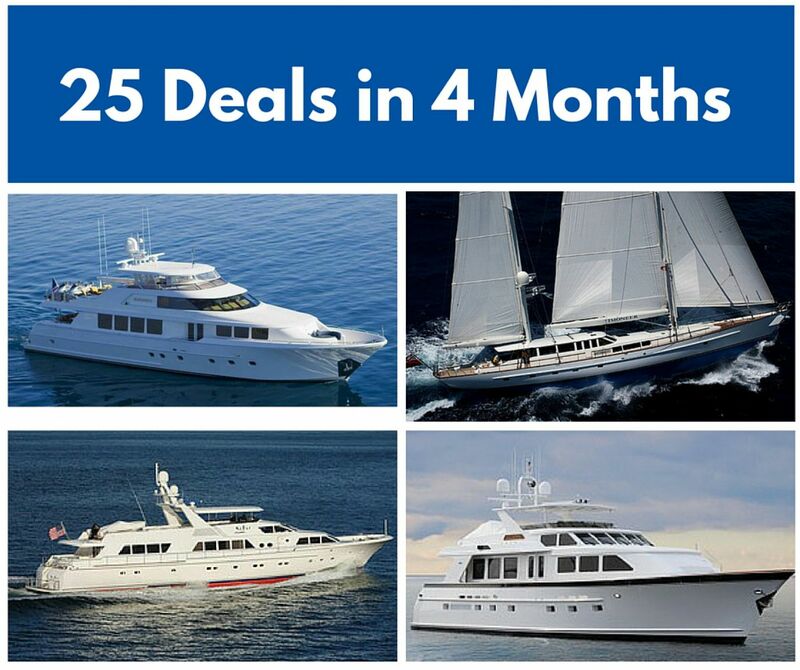 Illustrated are four of the yachts that we closed. Andrew Cilla sold TRUE NORTH, a 112' Westport to a long term client. This is the fourth transaction in which Andrew has represented the client. Pam Barlow sold TIMONEER, a 149' Vitters high performance ketch featuring a magnificent Jon Munford interior. This is the fourth transaction in which Pam has represented the client. Dana Cambon sold SOTAJ, a 123' Abeking & Rasmussen to another long term client. SOTAJ underwent an extensive refit at the Delta Shipyard and has been extensively updated. Parker Bogue sold JULIANNE, A 90' Burger to long term client. This is their sixth transaction with Parker. John Todd, another one of our senior brokers represented the seller.